You will NEVER guess what is in the middle of these. Saltine Crackers. Ok, maybe some of you might have guessed, but I bet most of you are thinking I am crazy right now. 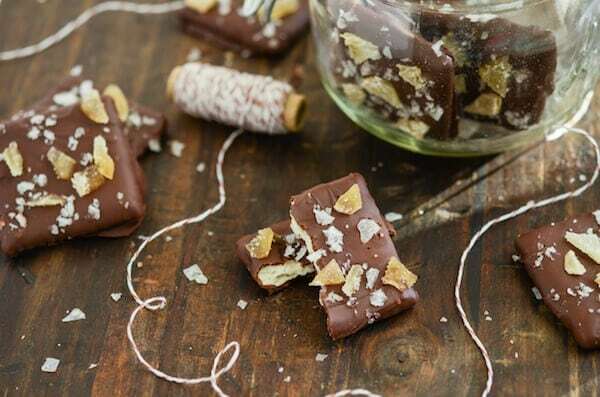 Well, have you ever eaten “Christmas Crack“? It’s where I got the idea from. 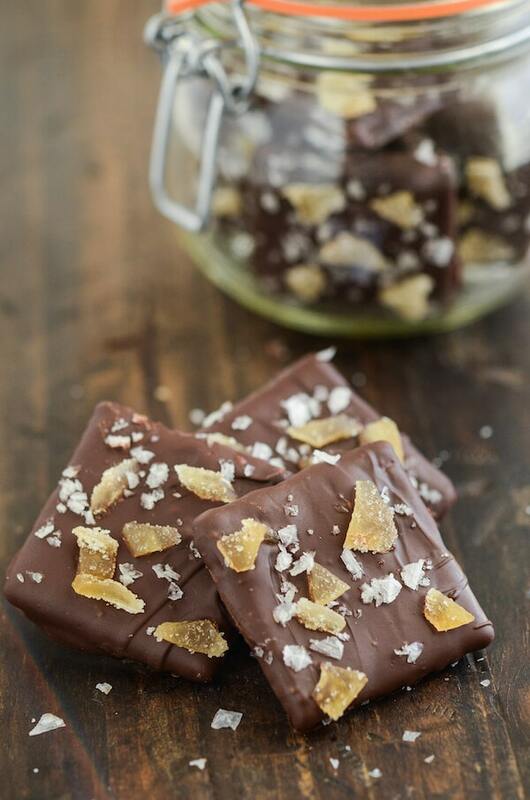 Why not make chocolate wafter candy with saltines? 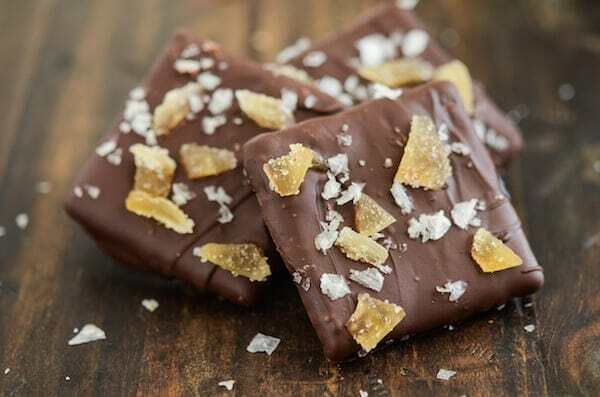 Once a saltine is dipped in chocolate it doesn’t taste like a saltine anymore. I had multiple people try (and love) these chocolate wafers and not one person guessed it was a saltine! I truly loved these wafers and ended up making a second batch for valentine’s day since they were so easy. Except I topped the next batch with cayenne pepper for a spicy twist. I’m also tossing around ideas for peanut butter and s’mores flavored versions. The options are endless, but for a classy version — I truly loved the flakey sea salt and crystallized ginger. Head on over to Dixie Crystals to check out the recipe! I do love Christmas Crack…we call it pine bark. This looks yummy! Thanks for sharing! Hahaha love Christmas Crack!! These look pretty addicting too, though! Love it! These are adorable little treats! Definitely need to try. Yum! Oh, yes, I haven’t made crystallized ginger in ages! You get that yummy, thick ginger syrup left in the pan as a bonus, too. This does look quite gourmet, like something you’d get in a high end chocolaterie. Oh my gosh, what a yummy combination! Love the crystallized ginger!